Many women in their late 40s and early 50s will experience a natural change in their body, which typically indicates the end of a woman’s reproductive period and menstruation. As a woman approaches menopause, she may experience a variety of symptoms such as hot flashes, which is a feeling of warmth throughout the body causing blushing and sweating. The severity of the hot flashes can vary for each woman. Menopause is determined by 12 months since the last menstruation cycle. Woman going through menopause don’t have to suffer through these symptoms and can be relieved through treatment. Contact us for more information or to make an appointment. Woman who have gone through menopause will experience a drop in estrogen production, which can lead to a significant loss in bone density and osteoporosis. Osteoporosis is a bone disease that causes bone to lose strength and density. It’s important consult with your provider on how to prevent bone loss as well as schedule a density screening. To help you decide the best treatment, contact us for more information or to make an appointment. During menopause, Woman will experience a drop in estrogen production. As a result, Woman experience hot flashes, vaginal dryness and bone loss. To help ease these symptoms as well as prevent bone loss, a provider may recommend a course of treatment with hormone replacement therapy. There are a variety of treatments depending on the severity of symptoms. As Woman get older, some may experience urinary incontinence or urine leakage. Stress and urge incontinence are common in Woman. Stress incontinence can happen after having children and after menopause. Urine leakage occurs when a woman laughs, coughs or sneezes. Urge incontinence is when a Woman gets the sensation she has to go to the bathroom but is unable to make it to the bathroom in time. Although both result in leaking urine, they are two different issues and not treated the same. Stress incontinence can be treated surgically and urge incontinence can be treated with medication. The treatment for stress or urge incontinence can either completely correct it or lessen the severity. Woman should consult with their provider to evaluate their situation and decide the best treatment option. In both European and US clinical trials, women reported symptom relief after the very first treatment and even greater improvement after the second and third treatments. The providers at TotalCare for Woman offer this treatment in its Chesapeake location. 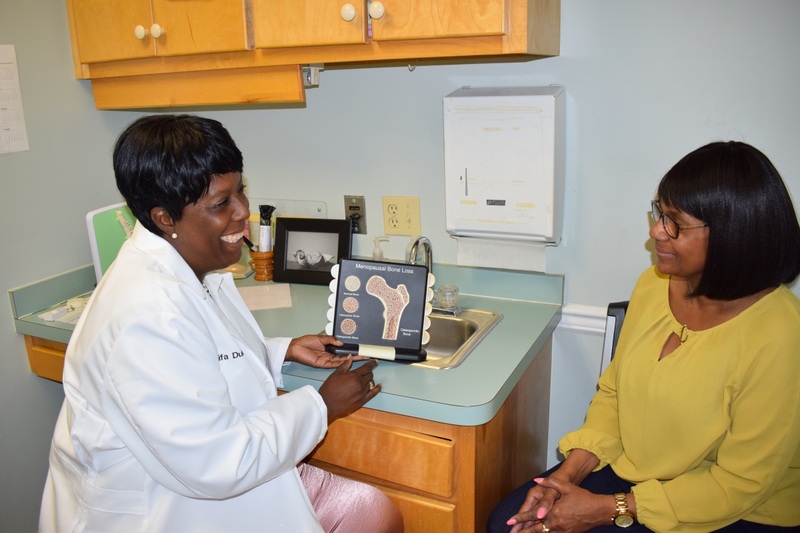 TotalCare for Women has partnered with Mid-Atlantic Imaging Center for digital mammography services. With six convenient area locations in Hampton Roads, peace-of-mind and early detection are only a call or click away. Schedule an mammogram here. TotalCare for Woman is committed to caring for Woman through every stage of their life.